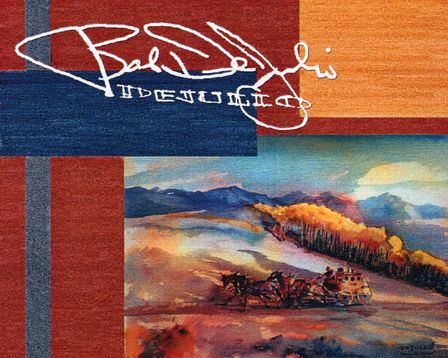 Bob DeJulio has taken historic scenes that were never photographed and brought them to life through his paintings. He has listened to hundreds of stories of those who have lived in the historic era, such as Earl May, an eighty-five year old stagecoach driver who ran the route from Canon City to Victor, or Tuffy Flor, longtime resident and undertaker of Ouray, or many of Bob's own relatives who grew up in the region. The result is not only an incomparable work of art, but also an accurate depiction of what it was like to live in the Old West. Also Bob's appreciation for the beauty surrounding the historic events is demonstrated through his use of vivid colors. His painting have captured such scenes as the first warming rays of the sun hitting the mountain peaks on a bitterly cold winder day, or showing the immensity and awesomeness of the San Juan Mountains in all their varied moods.